It’s a common conversation. Children have scattered far and wide, retirement is on the horizon, life seems to simultaneously slow down and become busier as visits with friends and family become more routine. Is it time to downsize? Condo living offers the best of both worlds; a new home that's better suited to your new lifestyle, in a neighbourhood that's close to your children and grandkids. Here are five child-friendly features to look for if you’re in the market for a new condo. It’s true; condominiums don’t typically offer big personal backyards with tire swings and swimming pools. However, many new condo developments can be found nestled within surrounding parkland, green space, or walking trails to give you access to the great outdoors. This can give you—and any energetic little guests—that backyard feel, with plenty of space for activities. Recognizing that private outdoor space is also important for homeowners, new condo builders typically integrate a private patio, terrace or deck space into their designs. Personal outdoor space is great for having grandchildren around. At the end of the day, it doesn’t take much space to blow bubbles, or use chalk, or even build a snowman in the winter months. If you’re looking at a townhome or attached bungalow style condo, many offer deck space large enough for hosting and barbecuing. If family is nearby and hosting is a priority as you move into retirement, don’t think outdoor space isn’t an option with your new condo. A little space goes a long way for children. While outdoor space is a big plus, sometimes it’s simply too cold to play outside. Entertaining in a condo is a lot more feasible than people think, and one of the perks is nearby amenities. Depending on the development, condominiums sometimes integrate shared spaces into the development that are accessible to all unit owners. In apartment style condo buildings, shared spaces might include community rooms, games rooms, and theatre rooms. Condo living is known for its convenience so developers usually look to build in areas that have entertainment options close by. 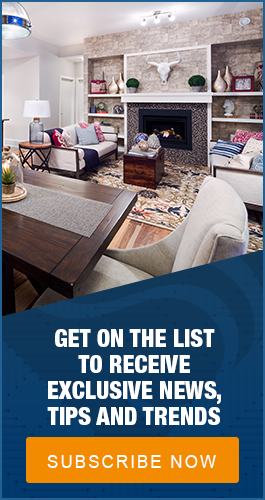 When it comes to new developments, ask your builder about the amenities nearby. It’s likely that there’s an ice cream shop or movie theatre only a short distance away, which is sure to make for a fun outing with the grandkids. Reducing your square footage is about right-sizing to all the space you now need. Square footage for apartment style condos can range from approximately 700 to 1,100 square feet while townhome or bungalow style properties are from 1,300 to over 1,800 square feet. But it’s less about the square footage and more about the layout when it comes to child-friendly design. The good thing about condo living is builders always use contemporary, open concept floor plans when it comes to condo design. It makes condominiums look and feel more spacious and makes it easier for looking after grandkids with the open sight-lines throughout the main floor. The added openness is great for entertaining too. When people speak of downsizing, it’s usually for practical reasons. They are looking to get rid of empty bedrooms, an excess of space, unnecessarily high utility bills and the extra cleaning to go with it. Condo living is all about low-maintenance living, and a smaller square footage helps with that. But just because you’re downsizing doesn’t mean you can’t still have a guest bedroom or an extra bathroom. And when it comes to having little children over, it may actually be preferred. In two and three bedroom condos the extra bedrooms are typically cozier than the master, but are perfect as a nap room or a playroom for children. Condo living simply requires a bit more creativity. Whereas the old family home had guest rooms and a full basement for play, condo living just requires a little conversion. Pull the toys out of storage when the grandchildren arrive, and set up the pillows and breakables neatly again when they leave. You see the transformation, but no one else does! 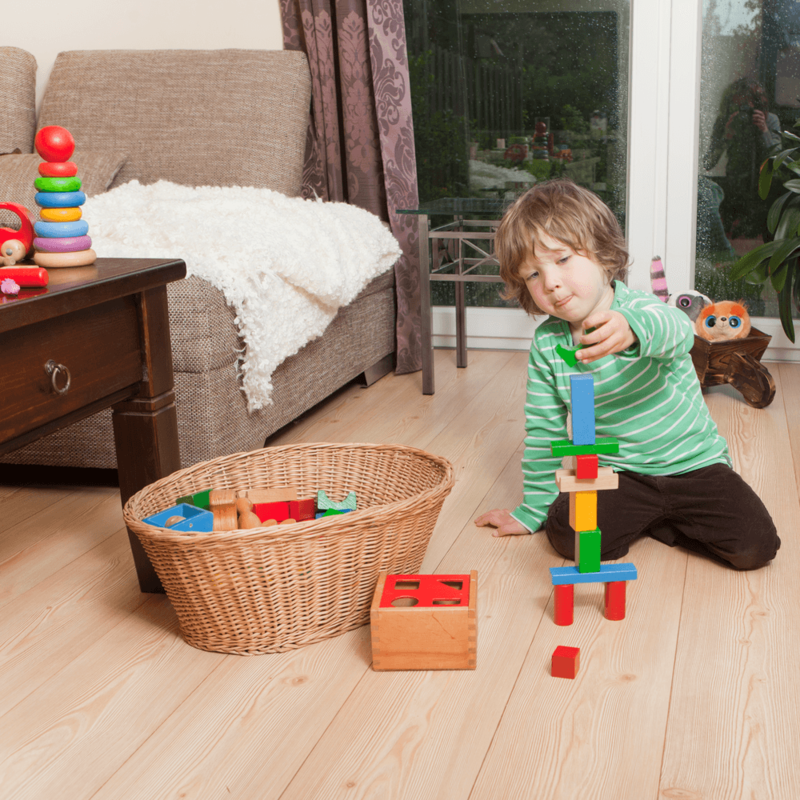 Condo living means reducing quantity - when it comes to square footage - but it certainly doesn’t mean reducing quality, and that’s a good thing when there are children around. Most good condo builders integrate contemporary, yet easy-to-clean features, such as: Tiled backsplashes, stainless steel appliances, and granite or quartz countertops into their home design. The truth is, the advantages of a low-maintenance condo are more for the homeowner, not for the guests. However, it just so happens that the materials used are also great for having grandchildren around. Most condos offer premium upgrades as well, including easy-to-clean features such as hardwood flooring or tile flooring, as well as soft-close drawers – yes, please! There’s no skimping when it comes to condo living. These high end, yet resilient, finishes can make all the difference keeping your new condo beautiful even after the children come over. Sometimes prospective condo owners shy away from condominiums because of the perception that condos are less accommodating. That’s not the case. In fact, condominiums are intentionally designed for flexible, care-free living—all features that make having children around worry-free. Between nearby amenities, spacious floor plans, and outdoor space, the transition to condo living might just encourage you to have the grandkids around a little bit more often.